AS: We’ve enlisted the services of Digonex to make more intelligent decisions about the pricing for many of our shows. We’ve found that with the assistance of the solution, and the economists on their staff behind the scenes, pricing recommendations are being made based on inputs we never would have considered before. As a result, we have seen some incredible success, which in this case can be defined by revenue maximization, attendance optimization or some combination thereof. Ultimately, we’re now able to anticipate scarcity, or lack of demand for that matter, and adjust, rather than react to it when the real opportunity has already passed. We’re able to do so within minutes on literally thousands of zones in hundreds of performances each day. 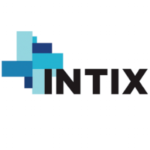 .INTIX: Can you share any details on the collaboration and process? All in all, the implementation process went very well. The fact that their offering extends beyond technology has meant that they’ve been able to offer fantastic insight into the recommendations being made. Read the whole interview at intix.org. This entry was posted in News, Performing Arts.